The same goes for most of the songs. These are strange but beautiful ballads that could have the exact same intensity with a full band on stage as with a single street-musician on a busy shopping street. 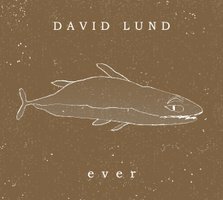 Maybe this introvert character of the music has a lot to do with Lund's voice. He is not the best vocalist in the world but he knows how to put emotion in his lyrics and voice into his music. In fact, nothing on this album is perfect, at least not from a commercial view. But the blend of all these imperfections is quite stunning and gives 'Ever' a lot of credibility. The album is available now on bandcamp and Depot214. I suggest you give it a listen. You'll be pleasantly surprise just like I was.